gives you the links to the countries of North America, as well as to the list of the birds of North America, North of the Mexican border. Click on the different countries of North America and it will take you to the relevant birdlist. There will be checklists of the birds by state and by province for Canada, Mexico and the USA. Our lists of birds of North America have the latest available information, coded for presence status and abundance as defined in our birdlist coding system, built up from the states and provinces of North America to the nationwide and continental lists of North America. For years, I kept this website rather anonymous. But then it occurred to me that maybe, you, the visitor, would actually enjoy knowing who and what is behind all this. 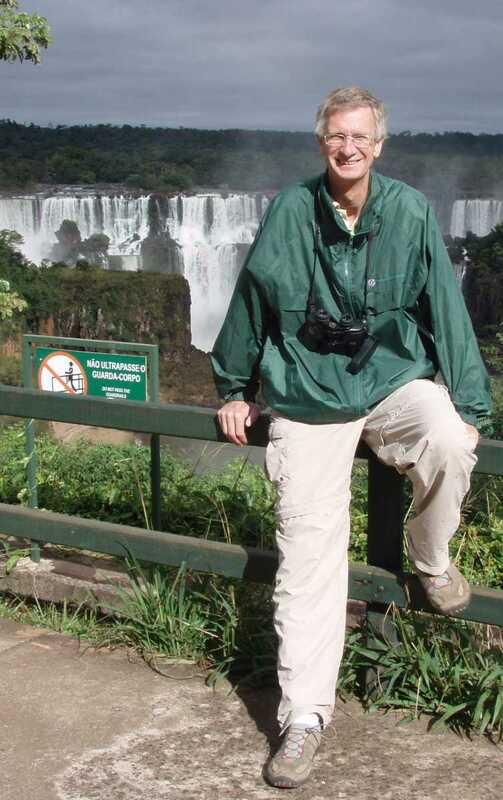 I am Daan Vreugdenhil, have a PhD in conservation ecology, and dedicated my career of 4 decades to the conservation of nature, for which I visited some 80 countries and learned 6 foreign languages, my native language being Dutch. I have always felt that conservation is a passion, not a profession. As a child, my father would take me on the back of his bicycle into the meadows in Holland, where he taught me to identify birds and plants. I caught frogs, butterflies and lizards as pets (yes, most of those poor critters died shortly after). As a teenager, I joined a youth club for nature study, riding my bike every weekend with my fellow club members to nature reserves in the Netherlands where I grew up. Little wonder, when time came I studied ecology and natural resources management. I guess, I never got over my love for nature, wild places, forests, deserts and wild animals. I still love hitting the trail, kayaking down a river, the wind in my ears when skiing down a slope or riding my speed bike. Often people ask me if I don't get tired of traveling. But how can one ever get tired of the beauty of the bright colours of Indian Fall, the thrill of an eagle soaring the sky, the thunder of Iguaçu Falls, the fragrance of a spring flower, a Sky Lark announcing spring, a herd of elephants roaming the plains. My entire life has been dedicated to the conservation of nature. This website is my gift to you, so you can follow me in my passion and carry on the flame of conservation, the result of more than a decade of work for which I never got paid or never received any subsidy. If this website in any way was useful to you, then I invite you to make a donation to the Adopt A Ranger Foundation. The Adopt A Ranger Foundation is my latest contribution in my quest to save 10% of our planet as a home for animals and plants. Welcome to Nature worldwide with the birds of this country or territory. You will find 2 tables. the first table explains the abundance and presence codes; the second table is the checklist of the birds. To learn about how we acquired the information, see our Methodology page. We have about 2000 pages, not only on birds but also on, mammals and national parks as well as nature related links by country. For the list of mammals or national parks of this country or for the links, press the link above. National Parks in developing countries need YOUR help. 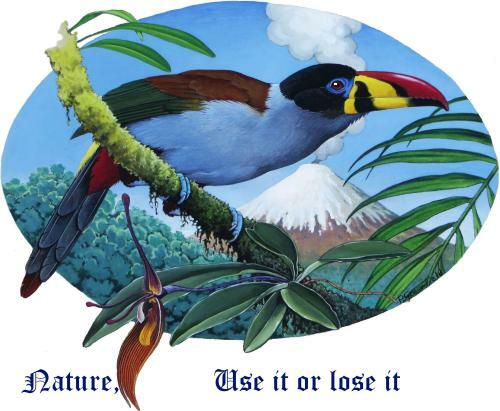 Learn more about the most important rescue effort ever made to rescue nature and about our crusade to rescue nature in the tropics from annihilation!.